The Dawson Academy recently announced a new addition to their faculty, Dr. Angie Gribble Hedlund, DMD. Dr. Hedlund joins 17 other faculty members who currently teach The Academy’s dental courses. I know she will have a great impact on those dentists studying at The Dawson Academy. The Dawson Academy recently announced a new addition to their faculty, Dr. Angie Gribble Hedlund, DMD. Hedlund joins 17 other faculty members who currently teach The Academy’s dental courses. “I feel so privileged and blessed to have been asked to be a part of the Dawson Academy Faculty. I am really thrilled to be part of a team that helps to communicate the concepts of Complete Dentistry to other doctors,” revealed Hedlund. Hedlund received her DMD from the Medical College of Georgia School of Dentistry in Augusta Georgia. She has also completed an ADA-accredited program in Advanced General Dentistry at Baylor College of Dentistry in Dallas, Texas. She practiced with Goldstein, Garber & Salama for 16 years. 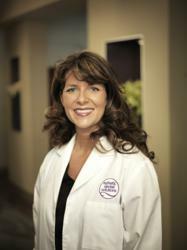 She has practiced dentistry in Atlanta, Georgia since 1994 and has recently opened a private practice in North Atlanta. Hedlund began taking courses in 2000 with The Dawson Academy. The Academy began to notice her kind spirit, approachable nature, and insatiable desire to provide complete care to her patients. Hedlund is an active contributor to organized dentistry. This began when she served as the first female president of a Medical College of Georgia dental class. She is currently a member of the American Academy of Cosmetic Dentistry, American Dental Association, Georgia Dental Association, the Hinman Dental Society, and the Academy of General Dentistry, where she has completed over 1,500 hours of continuing education in dental studies. She has received her Fellowship in the Academy of General Dentistry and in July 2006, she became one of the youngest women ever to receive a Mastership in this Academy. “We are delighted that Dr. Hedlund has joined the faculty of The Dawson Academy,” shares Forrest. “She is an outstanding clinician and possesses a true teacher's heart which is essential for being on our team,” explained Forrest. The Dawson Academy is an international provider of science-based dental continuing education, teaching dentists to comprehensively diagnose and treat dental problems with excellence and integrity. The Academy has taught dental courses to the dental industry for over 30 years and is dedicated to teaching the principles and skills necessary for the successful practice of complete, quality, and predictable dentistry.